The jews of Sanhedrin are Mosey-ing right along to Reveal their False Christ that Man of Sin. Hardly a day passes now, that there is no news regarding Eretz Itsreallyhell from the Nile unto the Euphrates and global Noahide Satanic Rule over all mankind, non jews that is. I highly recommend to Watch and Pray and Rejoice for the Redemption unto Christ our Lord is at hand soon. KJV 1 Timothy 1:4 Neither give heed to fables and endless genealogies, which minister questions, rather than godly edifying which is in faith: so do. It might come as a shock to many to learn that hundreds of descendants of King David are alive today, with verifiable family trees dating back 90 generations, and that the royal Davidic dynasty could potentially be established today in Israel. KJV Isaiah 22:22 And the key of the house of David will I lay upon his shoulder; so he shall open, and none shall shut; and he shall shut, and none shall open. Though some may be skeptical of the genealogical proof, many secular researchers of genealogy have studied the line of David. The research is facilitated by the fact that a number of European monarchs throughout history have gone to great lengths to prove family ties to the Davidic Dynasty, and a solid ancestry has been established. Within the Jewish community, genealogical studies have shown several families that can claim descent ben akhar ben (father to son) in a direct line, most notably the Dayan, Shealtiel and Charlap/Don Yechia families. Most of these families come from Aleppo, Syria. Susan Roth founded the Davidic Dynasty organization in 2000 to gather and reunite Davidic descendants in the Holy City of Jerusalem. Roth has a personal interest as well, tracing her lineage back to King David through Rabbi Shlomo Yitzchaki, the preeminent 11th century French Torah scholar known by the acronym Rashi. Her registry currently lists approximately 150 descendants who have verifiable descent to King David. However, efforts to introduce this reality into mainstream Judaism have met with surprising resistance. When she first compiled her list, Roth contacted Israel’s Chief Rabbinate to inform them of her registry but, surprisingly, they expressed no interest. “They were shocked, but they never followed up. My interest was simply to do God’s will, but they understood it as a political agenda. 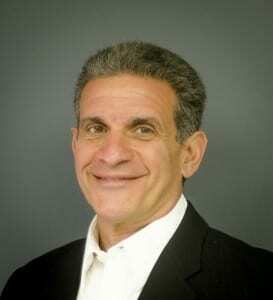 They don’t want King David’s dynasty and they don’t want Moshiach (Messiah),” Roth told Breaking Israel News. One of her discoveries was Mitchell Dayan. In 1983, Dayan was mourning for his brother. Amazed at the number of visitors who claimed to be from his family, he began to research his genealogy. Dayan’s research led him to a book called Yashir Moshe, a commentary on Song of Songs written in 1864 by Rabbi Moshe Dayan. In the prologue to the book, the rabbi lists his genealogy, leading back to King David. In this list, Mitchell found the name of his great grandfather from Aleppo. Another genealogic list was found in the Cairo geniza, a storehouse of over 300,000 Jewish documents discovered in the late 1800’s. The two lists were almost identical, despite the Cairo list being compiled hundreds of years earlier. Through these sources, Mitchell Dayan was able to verify his lineage back 87 generations to King David. In 2005, another Dayan, Rabbi Yosef Dayan, was recognized by the nascent Sanhedrin as a direct descendant of King David and, as such, a candidate to re-establish the Davidic Dynasty. Similar to Mitchell Dayan, his discovery came as a result of a death in the family. Soon after he immigrated to Israel in 1968, Rabbi Dayan buried his grandfather in Jerusalem. He was surprised to see inscribed on the headstone the words “M’Bet David” (from the house of David). Rabbi Dayan discovered that this inscription was a family custom dating back to their origins in Aleppo. 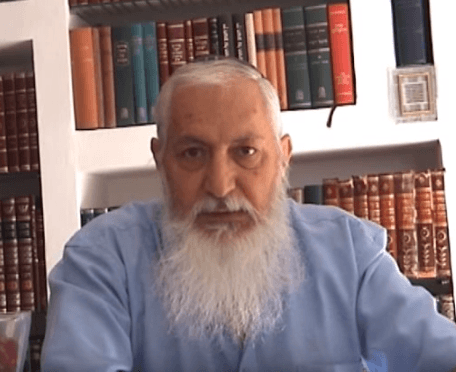 Several years later, Rabbi Dayan received an antique document from a cousin which lists his genealogy, showing him to be the 89th generation from King David. This document was verified by Rabbi Mordechai Eliyahu, the former Chief Sephardi Rabbi of Israel. Rabbi Dayan is disappointed by the lack of acceptance by rabbinic authorities and mainstream Judaism. Breaking Israel News asked Rab43 I am come in my Father’s name, and ye receive me not: if another shall come in his own name, him ye will receive.bi Dayan why he thought there exists so much resistance to acknowledging the Davidic Dynasty. On why there exists so much resistance to acknowledging the Davidic dynasty, Rabbi Dayan explained, “There is a basic error in understanding the Kingdom of David. “The Moshiach is already here. Moshiach in Hebrew means ‘anointed’. It is not a miracle. The family of David exists and is waiting for Israel to choose one and anoint him. KJV Rev 17:17 For God hath put in their hearts to fulfil his will, and to agree, and give their kingdom unto the beast, until the words of God shall be fulfilled. Who will you serve Satan or Jesus the Christ the King Messiah Lord God Almighty? Every man woman and child has the ultimate choice on whom they will serve, until their last breath or the Great Day when the Lord sends his angels to Harvest the earth. KJV REV 11:13 And the same hour was there a great earthquake, and the tenth part of the city fell, and in the earthquake were slain of men seven thousand: and the remnant were affrighted, and gave glory to the God of heaven.